Tregoo thought even to your business. E-mail, Internet and Computers today are a focal point of the modern workplace. With #TregooEnergy you'll always have the ability to work wherever you are, optimizing your time and always staying connected with your professional world. To change a Tropical Beach into your office becomes reality with #TregooEnergy. Finally you can leave for an exotic destination and reach the white beach surrounded by palm trees overlooking the ocean. In the shade of your umbrella, you can check e-mail, manage customers and stay in touch with your professional world. Working in an earthly paradise is now possible thanks to Tregoo Solar Kit that offer you high portability and maximum energy to charge your devices. Grow your business, wherever you are bring your work with you thanks to Tregoo Solar Power Stations. 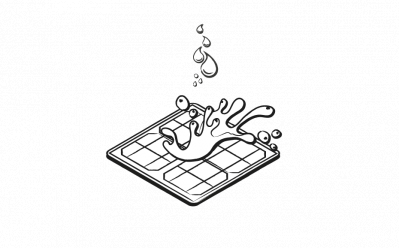 Tregoo 10-10 Extreme is a solar charger kit composed of Hippy 10 Extreme solar panel and Lizard 10 power pack. 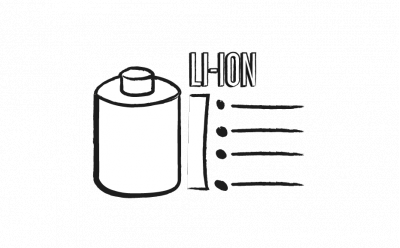 It is the lighter solar kit of the series and offers 10Wh autonomy for the recharge of USB devices, such as small digital cameras, smartphones, MP3 players, etc. 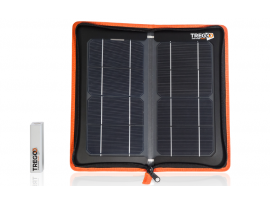 Tregoo 10-50 Extreme is a solar kit composed of Hippy 10 Extreme solar panel and Lizard 50 power pack. This solar charger kit offers up to 50Wh autonomy to recharge most USB devices. It is possible to recharge a smartphone and a tablet at the same time.